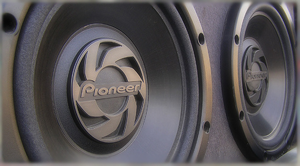 Home > Car Audio > Subwoofers > 10"
A 10" subwoofer is great for clean, tight sounding punchy bass. If you listen to fast paced music like techno music, or listen to classic rock, a 10" sub is the best choice. A 10" subwoofer will be able to keep up with fast paced bass notes. We stock a wide variety of brands so you will easily be able to find a subwoofer that will work with your system.